People do business with people they know. Get to know us! Check out our profiles below, read rave reviews from our existing clients, and learn our best practices in our Recipe for Success. Like a jalepeno pepper, our marketing has KICK! Check out our portfolio and see examples of how we have spiced things up for our existing clients. Invest in marketing that GETS NOTICED. Send us an e-mail to set up a consultation. Then sit back, relax, and enjoy the ride. We'll turn up the scoville scale - and get your brand looking hotter than ever! I’m not your average creative type... I like math too! That’s right folks, my left AND right brain can work for you. 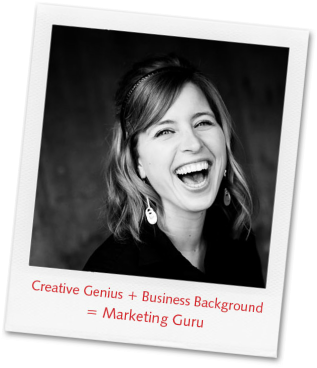 My unique combo of creative skill and marketing talent, I refer to as ‘skalent’ will generate results for your business. I’ve been an over-achiever since the time I could walk (at nine months) and I love to share my energy. I work well under pressure. After 4 years experience as a 911 operator and dispatcher with the RCMP– Trust me, I can handle your ‘marketing emergencies.’ Tell me your business goals, and I will tap into my creative and marketing expertise to get results.” Allow me to spice up your business!